We are excited to learn the great news about the new 2020 Ford Ecoboost Mustang from our partners at American Muscle. Check out this new most advanced Mustang with our friend Justin who walks you through the newest features in this video. With Ford Motor Company’s official release this morning on the new High-Performance Package (HPP) for the 2020 Mustang EcoBoost(EB), AmericanMuscle’s (AM) Justin Dugan was honored to be among the first to receive the announcement. Just in time for the Ford Mustang’s 55thanniversary, a new 2.3L HPP available on the EB, borrowed from the outgoing Focus RS, will make the 2020 HPP EB the most powerful four-cylinder sports car offered by an American automaker! In this episode of AM’s Mustang News, Justin discusses the performance enhancements on the new HPP, like the larger 63-millimeter turbo compressor, bigger radiator, and modified engine calibration, allowing for a 40 percent wider torque curve over the base EB engine. Additional improvements were made to the suspensionand brakes, including an available EB Handling Package equipped with TORSEN® limited-slip differential, MagneRide® dampers, and wider wheels, garnering a near 50/50 weight distribution. DRAGG Podcast #2 is out. The DRAGGTEAM has put together another great and informative podcast about the DRAGG program. In this episode, we talk about the vehicles in the program along with an interview with a graduate Emilio Castenada. It gives you an insight on this exciting new program. In our first episode, we discuss the educational program along with the history of the program. We recieved great responce from the first episode and are looking forward to more to come. We have plans to interview some of the students attending the class this semester along with meeting some of the greats in the auto industry. Click on the link and follow our Soundcloud account to get our most up to date episode. We love being able to give back to deserving members of our community! Thanks to the generous donation from Oxnard Mitsubishi and the hard work of our DRAGG team members, we were able to give a car that we refurbished to Nichole Quintana! Nichole was nominated by her son as she was driving a salvaged car that required constant fixing (which she did herself after watching YouTube videos). We hope this reliable transportation will make her life a little easier, and that our DRAGG members will take away the lesson of giving back to their community. Looking for a summer time class, look no further, DRAGG will be holding a summer class during the month of July 2018. Classes start July 2nd and run til July 27th. Times for the classes will be from 130PM to 430PM Mon-Fri at the DRAGG shop located at 300 Graves Ave #f Oxnard CA 93030. We will be going over basic and beginner automotive technology, work on great vehicle projects and go on informative field trips. We are looking for students from 9th to 12th to join the team this summer. 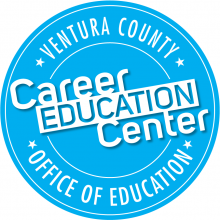 Please go onto the VCOE website to sign up and register. If you are looking to make a monetary donation please check out the United Way who has set-up the Thomas Fire Fund and a text-to-give campaign. 100% of the donations will support those in our community affected by the wildfires. 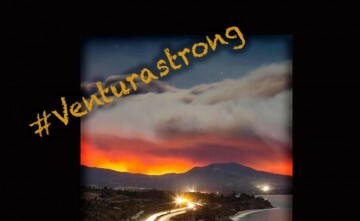 Donations can be made by texting UWVC to 41444, online at www.vcunitedway.org, or calling 805-485-6288. Checks may be sent to the United Way office at 702 County Square Drive, Suite 100, Ventura, CA 93003. Please write "Thomas Fire Fund" in the memo. DRAGG traveled to Las Vegas NV. this week to attend the SEMA car show and display their new 2018 Ford Ecoboost mustang in the Ford booth. Earlier this year, DRAGG was awarded the new vehicle after putting in a proposal along with thousands of others throughout the country. The team received the Mustang in June and has been working on the project throughout the summer and up until the beginning on the car show on Oct 31. The Mustang will be an display all week long in Vegas and return home to to begin its journey to many different car show, community events and races. To a packed house, DRAGG program finished up another successful year here in the city of Oxnard. Our program graduated 35 students in June after they completed a full year program. We had started with over 60 students back in Aug of 2016. Throughout the year the class is made up of automotive instructors and class room studies that help get the students engaged into the automotive industry. 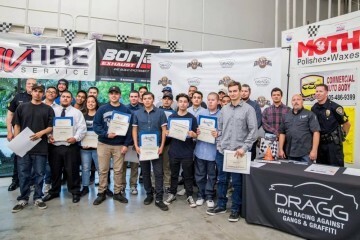 We also take the students on field trips such as the Dragg races in Pomona, Oxnard Christmas Parade, Ventura County Jail and Formula Drift events in Long Beach. The students are exposed to the industry and at the end of the school year, the program assists many of the Senior students with scholarships towards furthering their education. This year DRAGG was able to hand out over $35,000 in scholarship. With the help of Universal Technical Institute, DRAGG was able to give three large scholarships to attend their school. Where did the idea of DRAGG come from?? 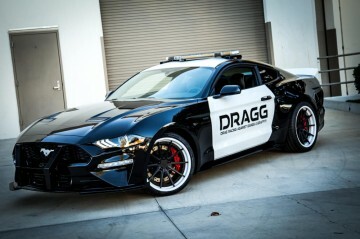 DRAGG was started with just an idea from a couple of friends who were also Police Officers on the same department. Charles and Dan knew they could make a difference if given the chance. Both grew up in the city of Oxnard and saw and heard the stories of how rough their city was. 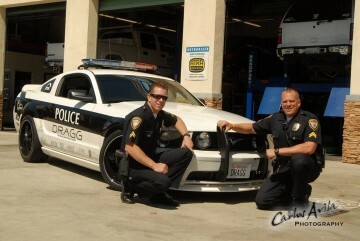 These car enthusiasts first met when they joined the Oxnard Police Department in 1996. They spent their years working patrol, SWAT and promoted through the ranks. It was in 2007, that the idea of putting together a youth program landed on their door step. They sat down together and mapped out DRAGG. 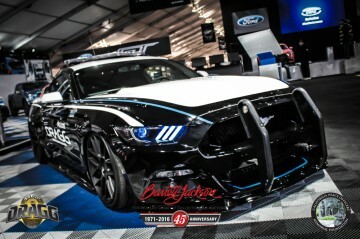 They started with developing the program into a non profit and later obtained their first vehicle, 2006 Ford GT Mustang. From there, the automotive industry was hooked. Charles and Dan saw that the doors were opening which gave them the opportunity to open up their first shop. They developed the relationship with the high school district and started the first after school program with the police department, school district and automotive industry. They knew they had a great recipe for success. They have graduated over 5 classes with 100 plus students. They have also been able to give out over 35 scholarships and assisted in job placement with several of the students. 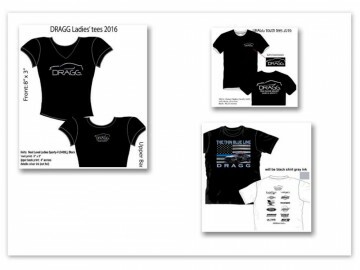 DRAGG is continuing with the success and helping expose students in high school with the automotive industry. Now they are working on expansion plans of the program to a city near you. They are working with Las Vegas, Tennessee and Texas departments to bring DRAGG programs in their communities. 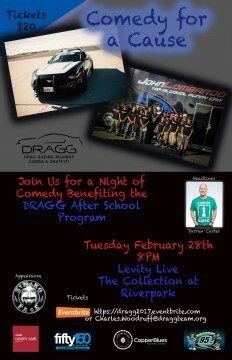 Contact the DRAGG program at draggteam.org for more info on starting a program in your community. We attended SEMA 2014 last year and what a week it was. 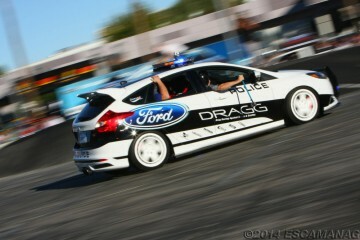 We had both DRAGG vehicles out on the track with Ford out Front. Several pro drifting drivers took the wheels of our DRAGG vehicles and put them through their paces on the track. We went through several sets of tires but the whole week was well worth it. Defiantly looking forward to next year.